Before They Were Carved in Stone, They Were Struck in Silver! The Stone Mountain Memorial is the largest bas relief sculpture in the world. 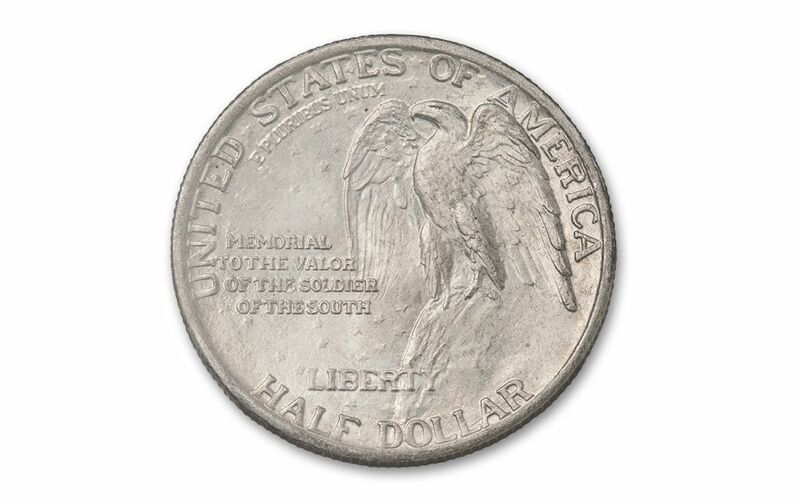 To raise funds for this massive stone carving, this special silver half dollar was struck in 1925. It depicts Generals Robert E. Lee and "Stonewall" Jackson on horseback - much as they appear on the finished memorial. 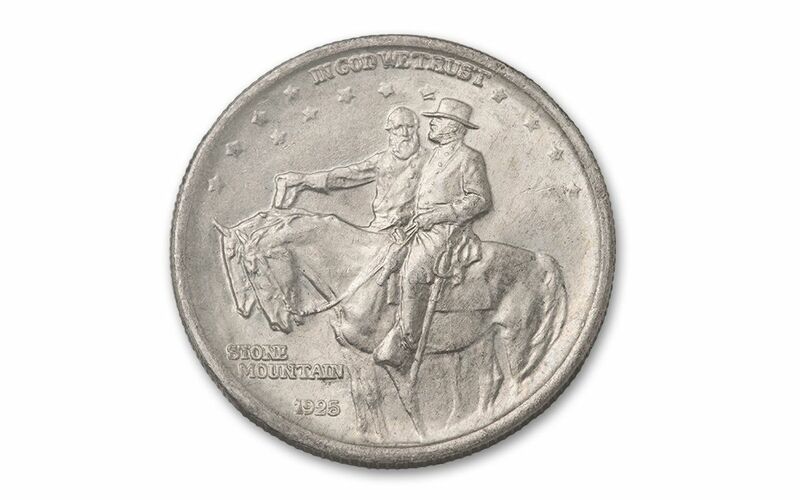 The models for the coin were prepared by Gutzon Borglum, who designed the sculpture before moving on to carve Mount Rushmore. The first coins were struck at the Philadelphia Mint on January 21, 1925 -- General Thomas "Stonewall" Jackson's birthday. 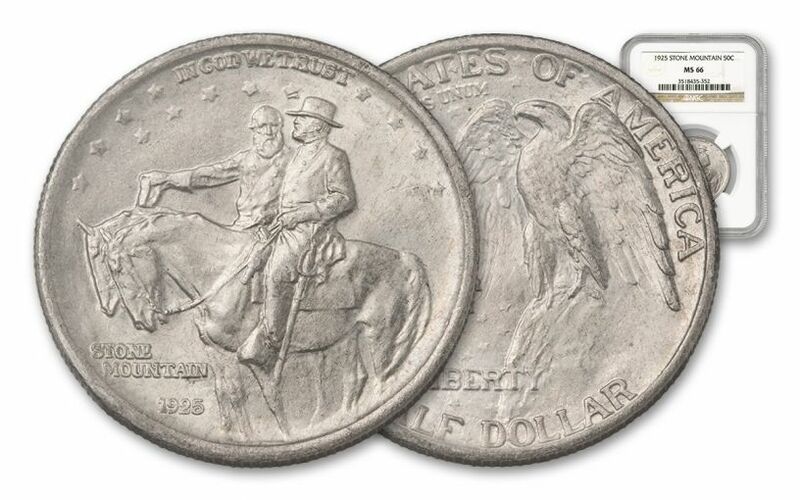 Even though these coins were issued as commemoratives, many were spent or melted for their silver content during the following years of the Great Depression. This mass disappearance makes it challenging to find uncirculated coins. Fortunately, our buyers have found a limited number of these high-graded beauties, certified Mint State-66 by either Numismatic Guaranty Corporation (NGC) or Professional Coin Grading Service (PCGS) (grading service varies). Each Stone Mountain Commemorative is sealed in a protective acrylic holder. Now is your chance to secure your piece of American history! 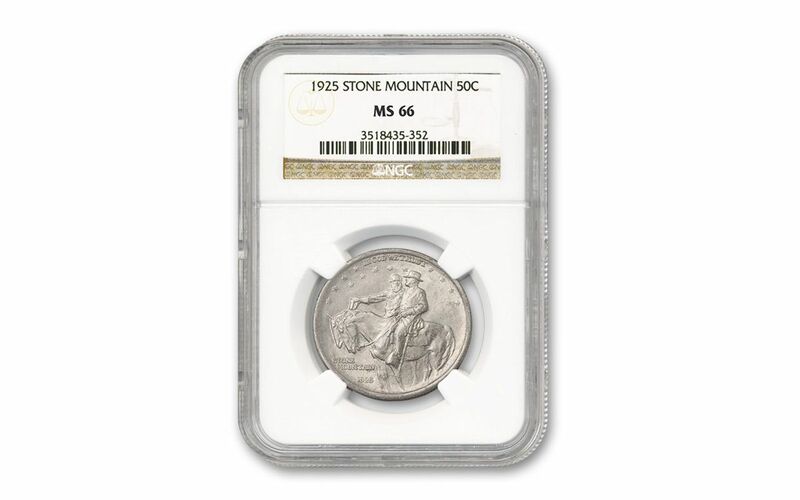 Add this MS66-graded Stone Mountain Commemorative Half Dollar to your collection today!